Greenback cutthroat trout photo credit: Colorado Parks and Wildlife. 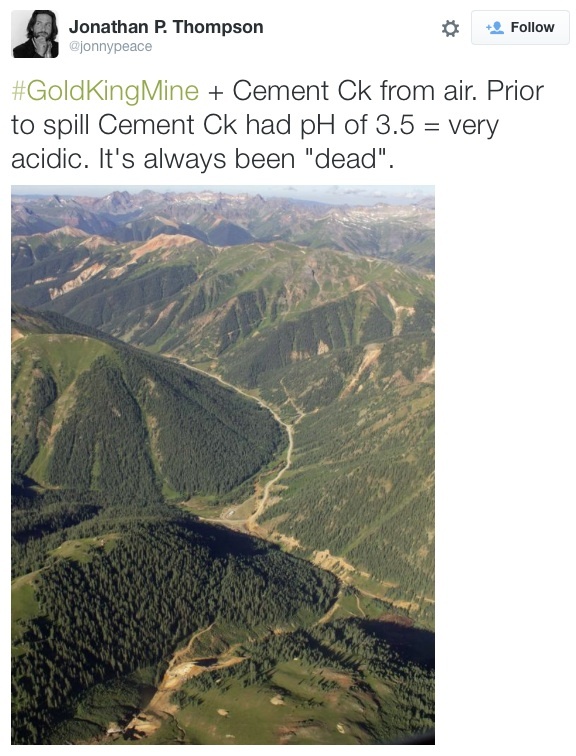 Colorado Parks and Wildlife biologists first tried to reproduce and reintroduce the greenback cutthroat trout into a stream, not far from Interstate 70 and the Eisenhower-Johnson Tunnel, in the summer of 2016. When they returned the next summer, the results were grim. 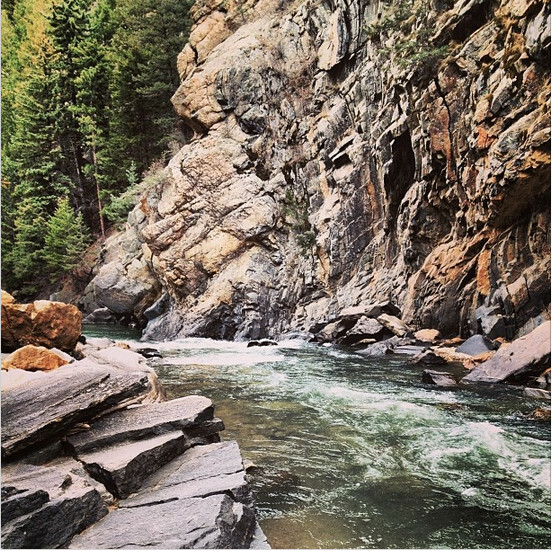 Researchers examining the ribbon of stream that winds down Herman Gulch found that none of the thousands of inch-long swimmers that were hauled up a steep trail by volunteers and placed in the waterway had survived. But as history has shown, there’s never really an end to the story of the ancient, threatened greenback cutthroat trout. A few months later, in September 2017, there was a good sign. The news for greenbacks got better from there. The creek has been stocked five times since 2016. Last year, CPW put in older fish, some of which were about 5 inches long. State wildlife officials chose the Herman Gulch stream, near a popular hiking trail, because a barrier where it spills into Clear Creek near I-70 prevents other types of trout — browns, brooks and rainbows — from sullying the genetics of the pure greenback population. Before stocking the greenbacks, biologists remove other trout species from the creek. Greenbacks are being stocked in Dry Gulch, near Herman Gulch, and there are two more streams where CPW is building barriers — at a cost of about $250,000 — to stock the trout and keep other species out. That passion for the greenbacks and for fishing was on display on a recent weekday morning. Several dozen volunteers from Trout Unlimited gathered with CPW officials waiting for a truck filled with thousands of tiny greenback cutthroats to arrive from Mount Shavano Fish Hatchery near Salida. They huddled together in the chilly wind since the truck was more than an hour late. But they didn’t care about the delay. The volunteers fashioned an informal line as they waited for sloshing, 2-foot-tall, clear-plastic bags, each filled with 500 tiny greenbacks. They stuffed the bags into backpacks and headed uphill to free them into Herman Gulch. As volunteer Brett Piché strolled up to the stream, several 5- or 6-inch greenbacks darted back and forth in the water. Piché placed his bag of fish in the water and, after a few minutes, carefully released its contents into the crystal-clear stream. Immediately, a larger greenback swam up and gobbled a few of its smaller brethren and darted away. Last week, the endangered Greenback cutthroat trout got a major boost from Trout Unlimited volunteers and agency partners in Colorado. 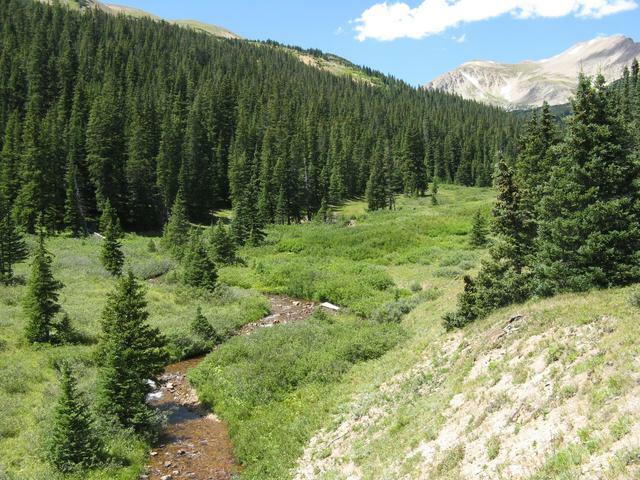 Over the course of two days in mid-July, 1,700 Year 1 Cutthroats (~4-6 inches) made their way into two headwater drainages in the Clear Creek watershed, an hour west of Denver. The Dry Gulch and Herman Gulch creeks represent the first major river populations for this threatened species since it was rediscovered in 2012. To help agency partners stock these important little fish, over 80 Trout Unlimited volunteers carried the cutthroats in large packs up steep switchbacks and bushwacked through dense brush to get to the remote rivers. Some people hiked over six miles into the top of the drainage (over 11,500 feet)! These volunteers came from 10 different TU chapters and represented all walks of life – anglers and conservationists coming together to recover this native trout. The facility was built and run by the Colorado Department of Public Health and Environment and the Environmental Protection Agency. The Colorado Department of Transportation was integral to this project. The data [Duke] Douglas collects between June 25 and the end of July will be collected into public database online — not just 360 degree panoramic photographs but stream temperatures, salinity, pH balance and other factors. The city has contracted with Littleton-based Enginuity Engineering Solutions to perform the survey. Project Manager Colin Barry said it’s the first time a Colorado municipality has performed this kind of stream-side survey. The survey tell city officials which waterways are in need of maintenance, like stabilizing a shore, removing trash or vegetation or seeking out pollution sources, according to Sharon Williams, Westminster’s stormwater utility manager. It’s been 11 years since the city last surveyed its stormwater drainages. That includes 63 miles miles of ditches, concrete conduits and canals feeding into broader creeks and streams, like the Big Dry Creek. But rather than flowing from mountain snow stockpiles, many of these drainages start from within the city itself — running off when people water their lawns or wash their cars in their driveways or from rain funneling through roadside drains. Whatever is on the lawns, the driveways or the roads gets swept down the drains. “That can mean soap or phosphates from fertilizers getting washed into the steams and into lakes, eventually,” Williams said. That can encourage algae to grow in blooms, which can ruin a waterway and lead to dead fish. It’s the kind of thing the survey is meant sniff out, and it involved staffers walking the area and inspecting it in 2007. Today’s effort is much more high-tech — and heavy. Douglas, a Colorado School of Mines environmental engineering graduate student, shoulders the bulk of the equipment, carrying a 30-pound rig bristling with antennas, sensors and gadgetry. A key part is a GoPro Omni quad camera that captures panoramic photos every few feet Douglas walks, linked to GPS system. Not only does it record as many as 4,000 high-resolution photographs per day, it links them to a map. Eventually, Williams said, city officials will be able to inspect the drainages from the comfort of their own desk, looking at the photos Douglas’ rig captures they way they might Google Street View. Douglas also carries water quality sensors, designed to test for temperature, pH balance, salinity and electrical conduction as well as an optional depth finder. The rig can also be hooked to a fish camera that can be mounted to the bottom of the walking stick Douglas carries. It’s not necessary for shallow puddles but can show water quality in deeper waterways, like the Dry Creek. “We did the river by the course and that’s deeper we got some great pictures and the fish,” Barry said. It certainly draws attention, they said. It’s not everyday you see two men walking down the middle of creek. “We were up in a by the Hyland Hills golf course and the golfers all wanted to know if we had scuba gear with us, and could we go diving golf balls,” Barry said. They saw plenty of golf balls, but didn’t collect them. Barry follows along with a handheld GPS unit, making notes and observations about the condition of the drainage. He notes when it drops down, when other drains join in and when it widens or narrows. All that information is logged into a computer at the end of each day and will eventually become a comprehensive digital model of the city, showing where they might be problems with pollution, erosion or places that might be in need of maintenance. “We expect a pretty constant temperature and pH balance throughout the stream, so if we see a significant drop or increase at one point it’s a clue that we need to do a little more investigation in the area,” Williams said. City staff will use that information to plan maintenance work around the city’s watershed for the next decade. In all the project is costing $238,000 and is being paid from the city’s stormwater utility funds. The survey won’t only aid city planners, but it’ll be available for the public to look at, too. Westminster is the first Colorado municipality to create this kind of study, but Enginuity has created similar digital tours for waterways in Texas and Washington State and around Key West in Florida. “They can go to fishviews.com and see those sites and get a better idea of what we are hoping get,” Hawthorn said. Douglas and Barry found examples of high phosphates almost the moment they got started, in the form of thick green algae covering the sides of the concrete Ketner tributary, the narrow concrete ditch that runs alongside the walking path that started at Oak and 102nd. Williams said that algae is common along suburban drainages, encouraged to grow by fertilizers common to suburban lawns. “It causes problems down streams, so if we can do something to treat our urban runoffs, we can improve the quality of natural streams down the line,” Williams said. 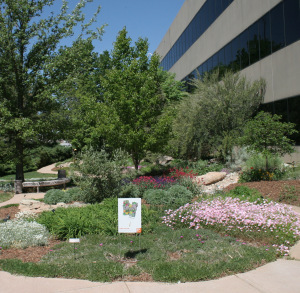 The Xeriscape Garden at Denver Water. Xeriscaping is a cost-effective way to save water and beautify your yard. The City of Northglenn is partnering with nonprofit group Resource Central on its popular ‘Garden In A Box’ program to provide low-water gardens to local residents. 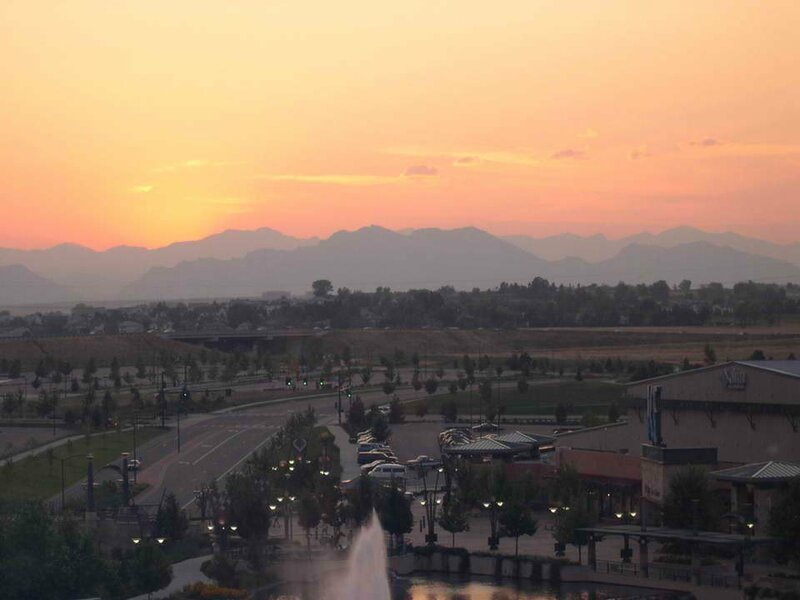 The program helps Colorado residents conserve water and save money. It’s a regional water conservation program that provides an assortment of water-wise plants and flowers that can reduce outdoor water use by up to 60 percent. As a participating community, Northglenn residents can get a limited number of $25 discounts on these water-saving plants through this nonprofit program. “Local families are rethinking their grassy yards,” said Neal Lurie, president of Resource Central, a Boulder-based nonprofit. “Traditional turf lawns are surprisingly thirsty and expensive. Additional kits focus on vegetable gardens, shaded areas, sun-loving flowers, and attracting honeybees. All gardens are Colorado-grown, pollinator-friendly, and available for pickup in May or June. Garden In A Box is one of the largest programs of its kind in the United States, helping Front Range families transition more than 1.4 million square feet of land to beautiful, low-water landscaping. This initiative has saved more than 100 million gallons of water since the program started in 1997. For more information about the program and to register for a box, visit http://ResourceCentral.org/gardens online or call them at 303 999-3820, extension 222.